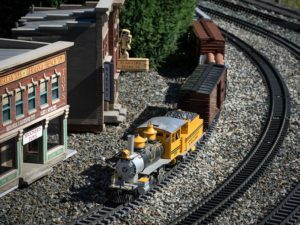 Model railroad enthusiasts and families can visit New Hope Valley Railway (NHVR) on Sunday, August 13, for a ride on a real train and a look at the railway’s onsite garden model railroad. 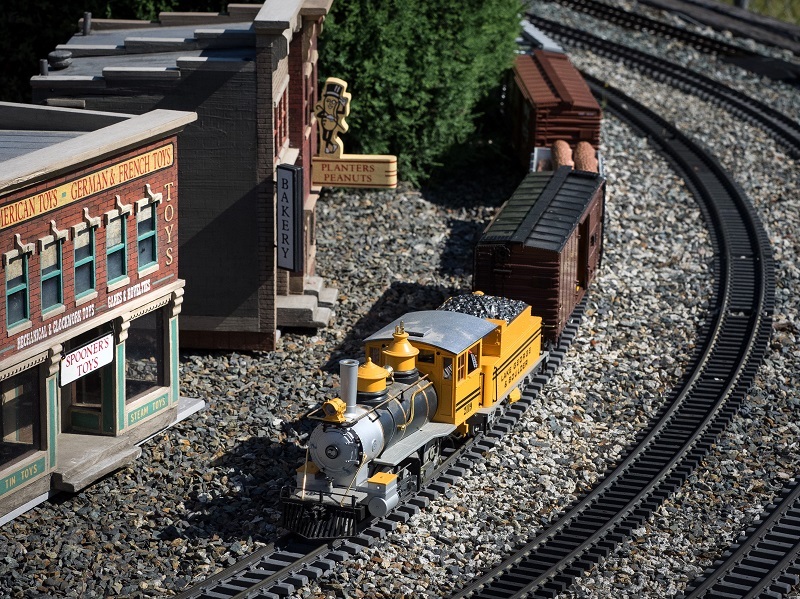 During NHVR’s Garden Railroad Festival, visitors can watch model trains, including Thomas and Friends™ train cars, operate on more than 1000 feet of miniature track. Garden model railroad trains are built to represent real trains and NHVR’s garden railroad features tunnels, bridges, plants, trees, houses, churches and its own engine house. There are multiple tracks for several trains to run simultaneously. Joe Austin, a 73-year-old garden railfan and member of the North Carolina Garden Railroad Society, will bring four of his Thomas and Friends™ model cars to operate on NHVR’s garden model railroad track during the event. They include Thomas #1 with Annie and Clarabel; Percy #6 (the small engine) with assorted Troublesome Trucks; James #5 (the red engine) “Ice Cream Train” with Milk Tanker, Cream Tanker, Raspberry Syrup Tanker and two Ice Cream wagons; and Toby #7 “Vintage Train” with Henrietta, Victoria and Elsie. Austin’s model trains typically run on his personal 75-foot garden railroad track in his backyard in Apex that he and his wife Jeanne built. Austin says trains are reminiscent of his childhood growing up in St. Louis and that his fascination with locomotives and how they work helped him choose a career in computers. “I’ve been interested in model trains since I was five years old and Santa brought me my first Lionel model trains,” said Austin. He says model trains have always been his favorite toy and most simply, that he enjoys watching them go around. Austin will be at the Garden Railroad Festival on August 13 to monitor his trains and interact with visitors and fans of garden railroading. 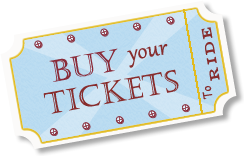 Visitors can purchase tickets online at www.TriangleTrain.com. Diesel trains depart at 11 a.m., 12:30 p.m. and 2 p.m. and model trains will operate in the garden railroad for the duration of the ride day. Tickets cost $10/adults, $9/seniors (ages 60+) and $7/children (ages 2-12, under 2 is free). NHVR’s food vendor Chef’s House will serve roasted pork loin with a mango chutney and a choice of two sides (whipped garlic mashed potatoes, country home fries, steamed broccoli and cauliflower, choice of assorted cookies and chips); hot dog combos with choice cookies and chips; or the NHVR Engineers Breakfast made up of cheesy scrambled eggs, Applewood bacon or country sausage and home fried potatoes. Six flavors of hand-dipped premium ice cream and toppings will also be available for $2 per scoop. Upcoming ride day events at the rail yard include Brew ‘n’ Choo Pizza Party on August 26, Slow Down Sunday on September 10 and Beer, BBQ & Choo Choo on September 30. The complete 2017 ride schedule is at www.TriangleTrain.com/Schedule.